There’s something about a trouser suit that I’ve always loved. Maybe it’s the (surprisingly) numerous ways to style it or the immediate sharpness it lends, considering how put-together I feel when I wear one (a usually foreign concept to someone whose wardrobe is as low-maintenance as mine). But my quest to find The One has been nothing short of arduous. It’s a journey that begins at obsessing over androgynous pinstripes and oversized vintage and ends with a sleek tuxedo and bralette. 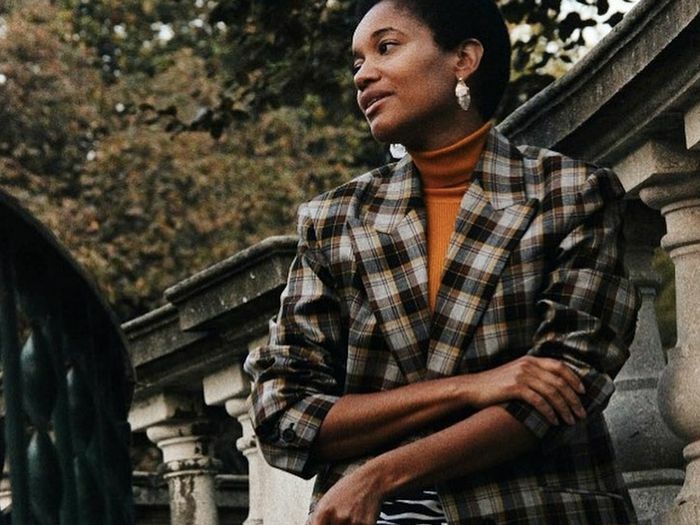 I stopped looking after feeling indecisive and frustrated that no tapered trouser I found seemed to suit my shape, however, thanks to the ongoing ’70s and ’80s trends, the high street is full of two-pieces. Brands like Warehouse and & Other Stories are serving up some excellent suit game, and I am here for it. Inspired by this and some of my favourite Instagram stars like Alyssa Coscarelli and Lizzie Hadfield, I decided to head down to London’s Oxford Circus and sift through as many as I could squeeze on in the hope of saving you all some time and coming home with a winner. After four and a half hours, many suspicious changing-room glances and some scary lighting, the final conclusion is that there are actually numerous chic suits on the high street. 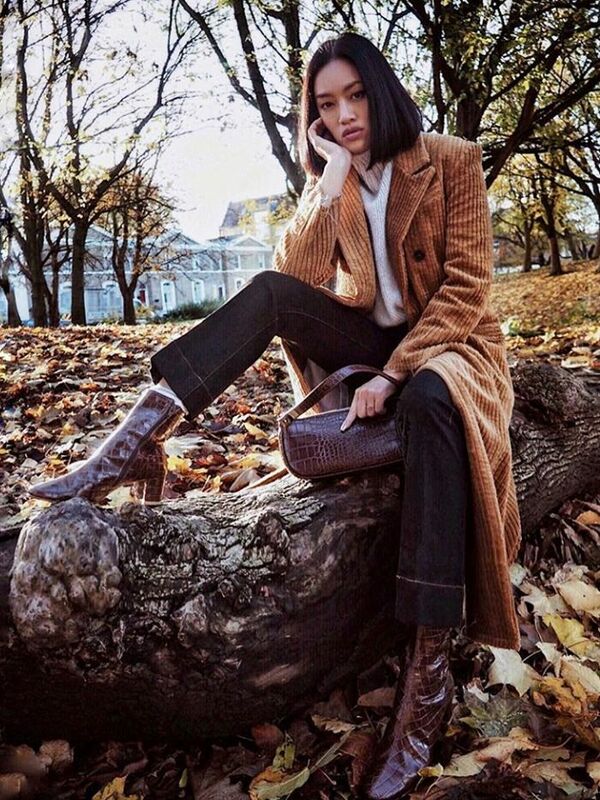 From an array of corduroy at Topshop to wide-legged goodness at Mango and party-dressing wins at Zara, I’ve narrowed down my top picks. Take a look below for my final edit. Style Notes: At first I was turned off by the belt for fear of it feeling dated, but fast-forward to the changing rooms and I’m very into it. What could feel stuffy or too polished is made cool with the trainers and roll-neck. 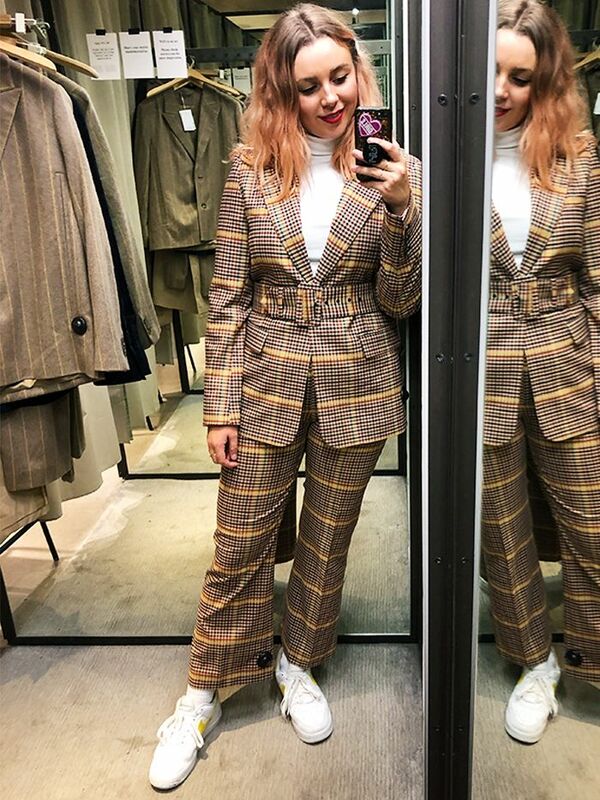 Style Notes: Although I was unimpressed by this suit on the hanger, I honestly felt so comfortable in it I almost walked out with it on my back. It’s lightweight, sleek and really wearable. 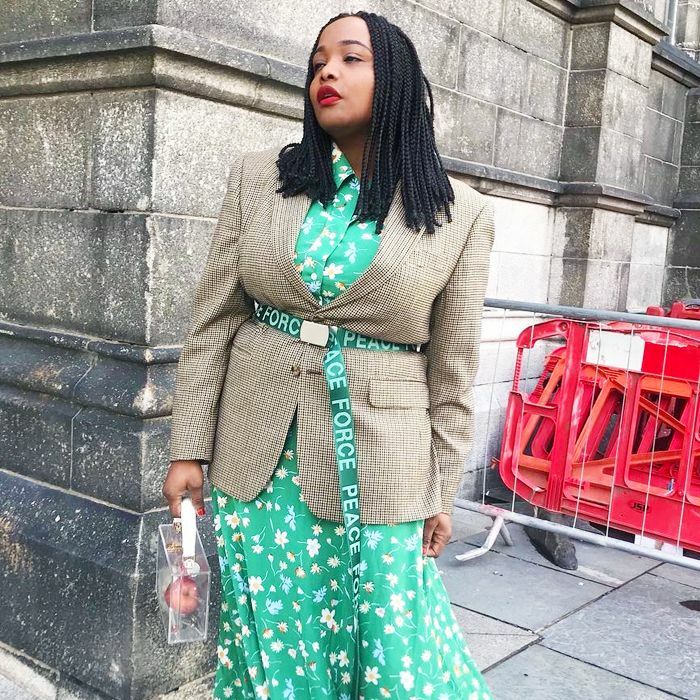 Style Notes: I loved how empowering the ’80s-style boxy fit, shoulder pads and double-breasted buttons felt as soon as I put it on, but one thing to note is the trouser length. At 5’6”, I found myself rolling the bottom up a couple of inches, so tailoring is non-negotiable here. Style Notes: My unexpected favourite, this "grandad" wool pairing is so different from anything in my wardrobe but felt so great once I put them on. Add a satin shirt to make it more luxe. Style Notes: If there’s sparkle, I’m usually sold, but even I was surprised by how much I liked this one. There’s an air of retro game-show presenter to it but to be honest, I think it’s the novelty of it lacking seriousness that I liked. Wear with a slip and heels for something more glam. Style Notes: This crushed, crinkled velvet two-piece from Topshop felt like a new take on the party suit, so I paired with this diamanté blouse to take it up a notch. Wear with heels to make it feel more grown-up. Style Notes: I don’t always see myself as a ’70s kind of girl, but I loved The Walton’s vibe that this rust corduroy Topshop duo was giving off. It’s great together but also one of the most versatile to be worn separately too. Style Notes: My love affair with velvet continues as Zara master the sleek party suit for another season. This steel grey one is less harsh than black and goes great with something sequinned underneath. Style Notes: Strictly speaking, this is not a suit—it’s a leather co-ord. A modern take on a traditional suit look, I fell in love with the chocolate brown (everywhere right now), the fit and the fabric. You’d honestly never think it was high street. Next up, the coolest winter looks from celebrities.